I just got a new iPhone 5, and I would like to migrate all of the information from my Motorola Defy (Android) phone to it. I have looked online at some general advice, but I am particularly concerned about getting all of my contacts from the Motorola to the iPhone. I have a mixture of business contacts (through my Exchange Account), and personal contacts (primarily on my SIM card). I am not too concerned about the Business Contacts because Exchange hosts everything on a server (so I am confident that email contacts will migrate quite seamlessly) however I am a bit lost about how to make sure that my personal contacts don't get lost. Traditionally when upgrading from one phone to another I would simply copy all contacts to my SIM and then insert the SIM into my new phone and copy all contacts from the SIM (it didn't really matter if I had to change SIMS (or by extension phone numbers) because I simply used the SIM like a flashdrive to store data). Unfortunately I cannot use the "tried and true" SIM method because my Motorola uses a normal sized SIM whereas my iPhone 5 uses a Micro-SIM (so the Motorola SIM simply won't fit into the iPhone!). Are there any Apps available for both the Android and the iPhone from the same developer for transferring contacts between the two types of phones? Any general advice on how to safely transfer all of my contacts and other information (Pictures, Texts, etc) will be greatly appreciated. Thanks again for your insights & advice. I hope that the technique above helps others with seamless migration to an iPhone. Thank you Davo. This may help many users who switch from Android to iPhone. By the way, to transfer sms text messages from Android to iPhone, I recommend a program called Backuptrans Android SMS to iPhone Transfer. Works great. Last edited by Abiromy; 8th October 2013 at 09:25 PM. Glad that my technique helped. Looking for an easy way to tranfer contacts from phone to another . Samsung Transfer tool offers a good and easy solution to transfer Data including Music, Video, Photo, Playlist, Message, Contact from phone to phone . Last edited by Egspriinn; 22nd August 2016 at 11:44 AM. Looking for an easy way to transfer contacts from phone to another .Samsung Transfer tool offers a good and easy solution to transfer Data including Music, Video, Photo, Playlist, Message, Contact from phone to phone . For contacts, you can try Google Gmail to sync contacts. Enter the following details into the fields, then tap “Next” Server: google.com User Name: Password: your password Syncing starts immediately, exit out of Settings and launch the “Contacts” app to check on the progress, the entire process may take a while for large address books. For messages transfer, you need to Mobiledic phone transfer to transfer messages from Android to iPhone, Google mail can't transfer messages. Last edited by Anactyn; 8th November 2016 at 04:12 PM. 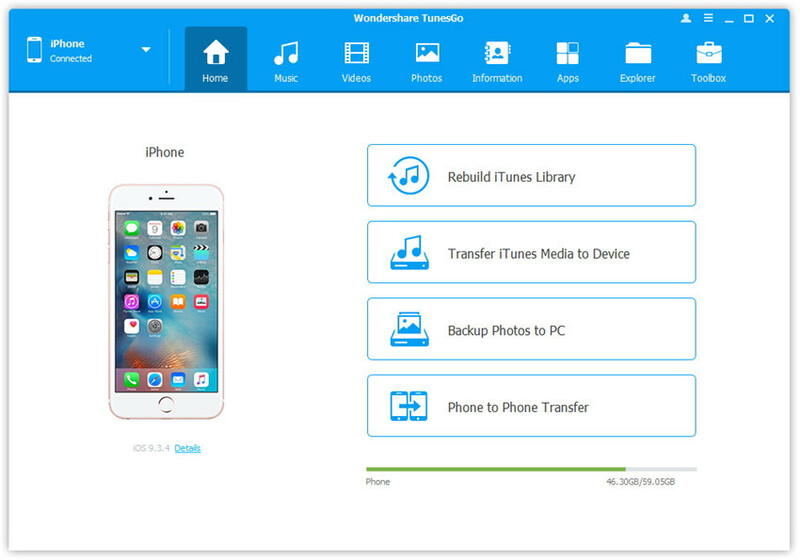 The most popular transfer software I know are: Move to iOS and Androidphonesoft. You can free transfer contacts from android to android as well as sms, photos, music and videos. Last edited by thirockets; 18th November 2016 at 09:10 PM. Move to iOS can help you transfer data from android to iphone, which can transfer data like contacts, photos from android to iphone, but you cannot move paid apps, and some music cannot be palyed on iphone, so are the videos. And if you have Gmail account, you can sync the data. It couldn't be easier with a phone transfer program. Simply open it, connect both the phones to your computer and start transfer contacts from android to iphone. Last edited by Fenne; 17th November 2016 at 12:47 PM. ARSHO was born and raised in Lebanon, and like most people from the region, immigrated to the United States 30 years ago due to the Civil War. When I first arrived, all I was thinking about was how to survive in this country and how to establish myself. I began my career with an international airline company and stayed with the same company for over 25 years. I was just able to survive based on that income. Nevertheless, I am and always have been a very ambitious person. I love setting challenging goal and achieving them as it gives me fulfillment. I always had the thought, feeling, and desire to something more with my life, to have my own business. However, financially I could not take the “risk” which is why I stayed with my job for 25+ years. Eventually, I got tired of being an employee working for corporate American 9-5 everyday, under the company’s rules and regulations, driving through traffic. My ambition was growing, I was waiting for an opportunity to grab. Two years ago, I decided to retire from the company. I checked my financial situation and knew that I was not yet “financially free,” but I took a chance. In the two weeks that I sat at home, I felt so bored not being productive. I contemplated starting up a catering company. I had already done my planning a few years prior with Syncis through my niece. Right around the time I was contemplating what to do, she reached out to me to come and meet one of her knowledgeable managers for an “eye opening experience.” That was the magic phrase that I was waiting for. I walked into the business and it has been an amazing experience. I am a true business owner with this company, establishing and growing my business, without a huge financial investment. Since then, I’ve learned about basic financial concepts that is necessary for each and every family to know and apply. All I have done is to apply myself, and to work hard for my own business. It's not a big deal. You can use Google account or other data transfer tool transferring contacts from Android to iPhone. All times are GMT +10. The time now is 08:16 AM.